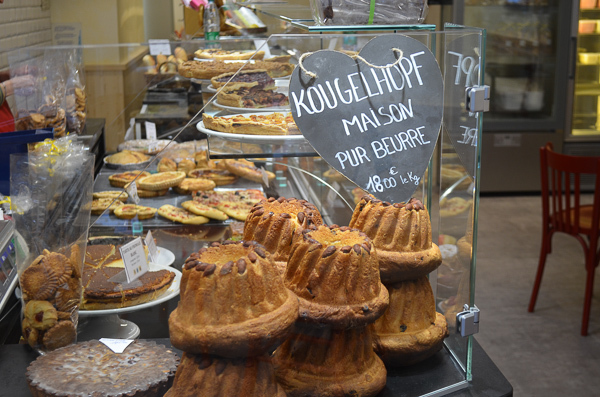 Check out the traditional French foods of northeast France when visiting the regions. Most of the regional specialties are popular French foods enjoyed throughout France. Bêtises de Cambrai: Cambrai, inland from Calais famous for this mint-flavored candy and eaten throughout France. Mimolette: a semi-hard cow’s milk cheese. Originates around Lille. Orange in color with a brownish rind. Turkey. This region is a big turkey-breeding center. I thought the French didn’t eat turkey but I guess I’m mistaken. It must be that my mother-in-law just doesn’t like turkey. Traveling to other regions? 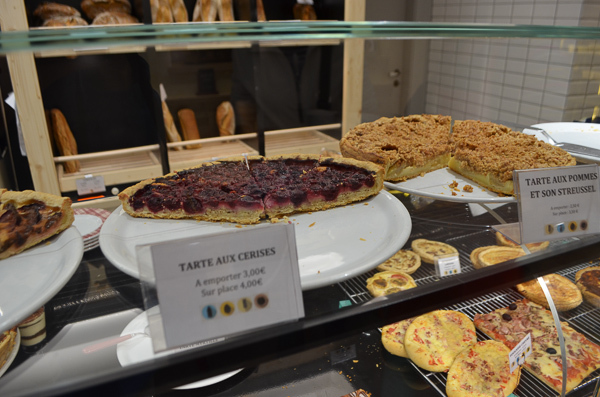 Check out delicious traditional France food in other parts of France. Pieds de Couchon (grilled pigs trotters/pigs feet): A local specialty of the town of Sainte-Menehould. Carre De L’est: a square shaped cheese from the cow’s milk of this region and Lorraine. Sauerkraut: Made at Brienne-le Château. A Sauerkraut festival is held every year in September. The Champagne region is most famous for its wine. Check out this and the other French wine regions. Mirabelle Plum Jam: mostly comes from the variety of small yellow plums that grow in the Alsace Lorraine France regions. They are very sweet and have a wonderful smell. Dragées (sugared almonds) are the famous specialty of Verdun France. If you’re interested in the history of French foods, it has been consumed as far back as Roman times. One of the traditional French foods served at important family events like christenings, first communion, and weddings. Boulay Macaroons: a traditional macaroon made in the town of Boulay. Made with egg whites, crushed almonds and a sugar icing. 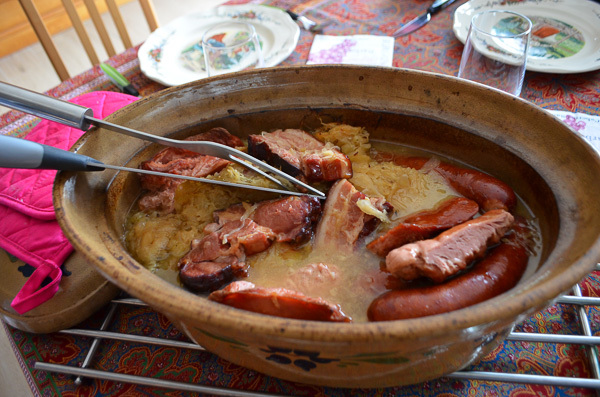 Choucroute Garni: Sauerkraut, sausages and pork. 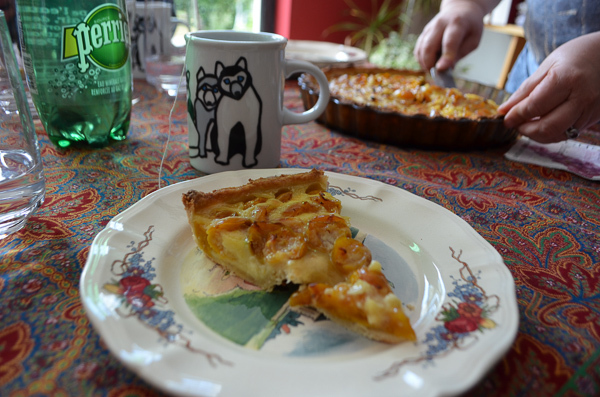 A specialty of Alsace since the 1600s when it no longer belonged to Germany. Lots of cabbage is grown in this area hence the sauerkraut. Krautergersheim near Obernai is the most important sauerkraut-producing area. Pâté de Foie Gras en croûte: goose liver French pate (pâté) wrapped in a thin layer of minced veal and covered by a pastry crust. Truffles: The most famous truffles come from Limersheim and Hindersheim. One of the traditional French foods used in high cuisine famous French food recipes. Like the famous French pate (pâté) de fois gras which is traditionally seasoned with truffles. Famous for Fruit. Orchards of fruit and berries preserved in syrup and served throughout France or eaten fresh. Keep an eye out for local jams of bilberries and blackberries that come from this regions forest. Kugelhopf cake: enjoyed year round and also one of the delicious French Christmas desserts of Alsace. Alsace wine region is a great area to visit. 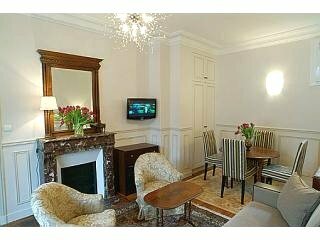 Tour the beautiful countryside, taste the wine and sample the food.